Fear or Love, that is always the choice before us as we walk in duality. Yet those two polarities will determine very different choices, behaviors, and even outcomes. Fear separates us from our eternal Source, locking us into miserable patterns of low self-esteem and victimization and, ultimately, it keeps us separate from each other. Love, on the other hand, unifies us into wholeness and brings us to trust in the magic and mystery of life again. So many of our institutions are still rooted in fear, however, and so many of us are programmed to follow the voice of an external “authority” even when that advice may be detrimental to our physical, mental or emotional well-being. Too often we blindly give our power away to medical “facts” or “statistics” that have no basis in reality. We buy into the illusion of fear – fear of “loss” of some kind – and there is no greater fear than death. 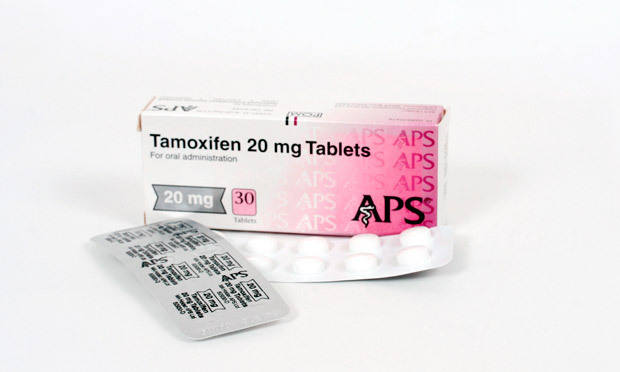 It seems that Big Pharma now want thousands of healthy women to be given breast cancer drugs, such as tamoxifen or raloxifene, to cut their chances of contracting the disease, despite possible nasty side effects that include hot flushes, nausea, indigestion, weight gain leg cramps, depression, tiredness, headaches, blood clots, vision problems, voice changes and, even though rare, womb cancer! These drugs have not been designed to be used as preventative medicine by the way. Yet they are being put forward, based on a change in policy. We need to ask, how will they – the faceless, stern voice of “authority” – determine which women to give it to? Who will be labelled as ‘high risk’? What about the side effects? SPIRIT says we do not inherit disease, only the potential for disease. The new science is now saying the same thing, but the old dogma refuses to die. Aside from the fact that Big Pharma is, most likely, rubbing its greedy little hands together, this is a nonsensical approach driven by fear, reinforcing the victim mindset that says we are are the mercy of our genes, and which blatantly ignores the latest discoveries in science – epigenetics – which demonstrate that our environment is the key to determining our health, or lack of it. Perhaps we should all cut off our limbs before they get gangrene? Edgar Cayce (March 18, 1877 – January 3, 1945) was a Christian Mystic who had the remarkable ability to see beyond the veils of this mortal world, and read from the "Akashic Records" to help others who were seeking greater meaning in their lives. The Akashic Records, known as "The Book of Life", can be equated to the universe's super computer system. It is this system that acts as the central storehouse of all information for every individual who has ever lived upon the earth. More than just a reservoir of events, the Akashic Records contain every deed, word, feeling, thought, and intent that has ever occurred at any time in the history of the world. Much more than simply a memory storehouse, however, these Akashic Records are interactive in that they have a tremendous influence upon our everyday lives, our relationships, our feelings and belief systems, and the potential realities we draw toward us. Most of us have had lives before this one, and we bring with us talents, abilities, and influences from those previous lives and experiences, which are encoded into our very cells. 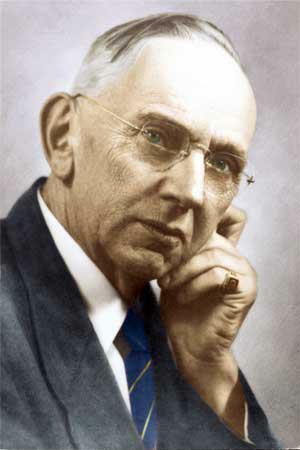 For those interested in Astrology, Cayce provided the great insight that not only have we had previous lives, but that, between lifetimes, the soul has a life outside the physical world. 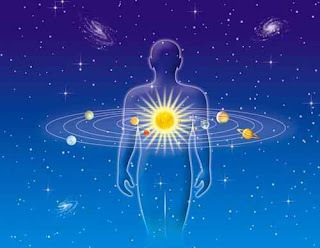 During these interim periods, the soul experiences levels of consciousness that correspond to the vibratory levels of the different planets. Cayce referred to these interim lifetime experiences as planetary sojourns. As we have had experiences with the vibrations of the different planets between lifetimes, the planets have an internal influence on us when we reincarnate into the earth plane. These influences of the planets are felt by us in the form of "inclinations, tendencies, and urges." However, Cayce said, no influence is greater than the will of the individual and the choices that we make in our lives every day. What are you accepting as your truth? What blockbuster movies and 'must see' TV programmes are you watching? What video games are you playing? What magazines, newspaper articles, or books, are you reading? What are you "feeding your mind" with? What are you accepting as your truth? What are your deepest beliefs about life and death? Are you choosing consciously or unconsciously? If it is the former, then you will have some say over what you attract into your life. If it is the later, you will most likely feel that you are "at the effect" of events that happen in your life. You will also likely feel that you have no direction over your own ship, as you drift rudderless across the great ocean of life, tossed here and there by fate. 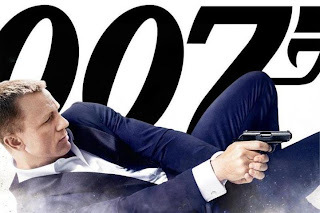 The latest 007 movie, "Skyfall", has been met with widespread acclaim but what struck me was that the underlying message is out of sync with the new vibrational ("thought") energy of our planet, and this movie belligerently seeks to reinforce a decrepit view that we should all live in fear of some unseen enemy - and that we should therefore seek to rally as much force around us as possible. It blatantly states that we need our unseen heroes in the field, and governments (all faceless authorities) to protect us... whilst we live in fear of the unknown. Jason Bourne (played by Jason Bourne) was much more relatable as the soldier waking up to his own inner voice of authority, and having the courage to make atonement for his actions. M's (Judy Dench's) line "how safe do you feel?" speaks to the frightened child within all of us. Were you listening? What was your gut reaction? Nothing is going to make us feel safe, unless we start acting as one humanity... one brotherhood, one global community, and one planet. NOW is the time to move into greater trust and awareness, despite our differences, even when deep-seated differences are playing out on the world stage as war and terrorism. The latter is an old cultural story that must go! And it's not one our governments and institutions will readily drop, for their investments are great. Ego playing out at the highest level will seek to destroy the other, in the name of safety. Yet, the other is YOU. All great spiritual masters have said this. This idea of "oneness" won't make sense from a purely logical mind perspective. Yet, a deeper inquiry into the nature of reality will reveal an interconnectedness that transcends all sense of separatism. We have, as individuals and nations, caused each other much hurt, pain, suffering, misery and grief, because we have continued to label some (certain religions, cultures and ethnic groups) as "bad" just because their views do not fit ours, or because they won't readily do what we tell them to do. It's time to look a little bit deeper, isn't it? Think about your life. Do you like it when someone tells you what to do? Do you agree with destructive criticism that makes you "wrong", and thus erodes your self-esteem? What about if someone tells you that you can't do something that you believe you have a fundamental right to do? Why do we continue to believe the hype of terrorism fed in from those who only seek to preserve antiquated structures of control, based on reinforcing unproven, unseen fears in the collective psyche? If we shine light on these shadows, they will disappear. So, let us look with our light (our full awareness), and shine the light for others to see, even if it's not popular. Something to consider... something to remember.... and definitely something to act upon. There is only one spiritual dis-ease but there are many physical manifestations of this state of being, this disconnection from one's Non Physical source. If you only heal the symptoms, the dis-ease will come back. Either in the same form as before, or in a different way. Healing requires wholeness - not just treating the symptoms. Whatever you feel compelled to do, whether that be writing music, number crunching through accountancy, designing software, making unique floral arrangements, cleaning people's teeth, or driving a bus, TRUST that inner calling... honour your gifts and talents. Often, when we are younger, we veer off course by listening to the well-intentioned but often misguided opinions of teachers and parents, and even friends... only you can know what's good for you - what turns you on! And, if you're reading this, it's never too late to change. Just take one step at a time... and slowly does it... the journey of a thousand miles starts with a single step. Your inner journey is the same. You are always meeting Self in this Universe. Whatever happens, good or bad, is an opportunity to know yourself at a deeper level. Without the mirror of consciousness, nothing could be revealed to you. Therefore bless everything that comes into your life, and then seek your highest thought about it. Ask yourself, "What would love do in this situation?" Astrology is a fascinating subject. Of course, the nonsense that is bandied about in the horoscopes section of popular newspapers and magazines is just plain idiotic… really, how can one Sign/Energy represent the vast complexity of the human being, with all of its wants, needs, fears and inner urges?! It just puts people off any serious inquiry – and rightly so. Here, I’d like to share two pieces of astrological information that may shed light on 'events' in your life (ones that may have already happened, or ones that are yet to come) and prompt you to seek out an astrologer who can help you explore the inner dimensions of your birth chart, and what energies may be impacting you outside of your conscious awareness. Saturn is the planet of structure and order, and presents the Karmic lesson, given that the Universe is precisely ordered, and Karma represents the “cause and effect” of actions taken or not taken. Interestingly, a "Saturn return" signifies when the planet Saturn returns to its original place in our Natal Chart, which takes about 29½ years. Many people face heavy life challenges in their late twenties and early thirties as they "grow up", so this period represents the real beginning of adulthood. The planet Uranus represents the overriding desire for freedom and change, and urges us to cast aside limiting boundaries! Sometimes, that can mean a radical outer change! Since the planet Uranus takes 84 years to cycle round the Natal Chart, 42 years is the mid way point of its orbital cycle and there is an energetic "pull" caused by this opposing aspect. But what, you may rightly ask, do all those distant planets "out there" have to do with us "here" – well, their immediate and lasting influence is hinted at by the field of Quantum Physics and Bell's theorem: i.e. locality is dead; everything is interconnected. What happens "out there" affects us "here" (hundreds of thousands of miles away) instantaneously, whether we consciously recognize it or not. The Universe is always listening and responding to your innermost thoughts and feelings. It is unerringly precise in its wisdom. Ask yourself, "Am I engaged in a dialogue, or a monologue?" The Universe hears your requests, and responds instantly. Yet, if you are busy chattering away, how can you hear the answer that is being given? In particular, judging and complaining are two energies that will block your awareness and receptivity. On the other hand, if you are listening to the inner prompts that are continually being sent your way, the old will continually fall away and be replaced with the new - that which will invigorate your Spirit. When your heart is open, energy is flowing through you, enriching and enlivening you from head to toe down to the smallest particle of energy that makes up "you". When your heart is closed, your energy becomes stagnant, hampering your life-force and leading to premature decay of your physical cells. Ask yourself, "how can I stay open to life? How can I radiate more joy from my heart?"